Yogi Adityanath said the proposed UPCOCA bill would help check crime and sought cooperation from the Opposition parties for its passage. 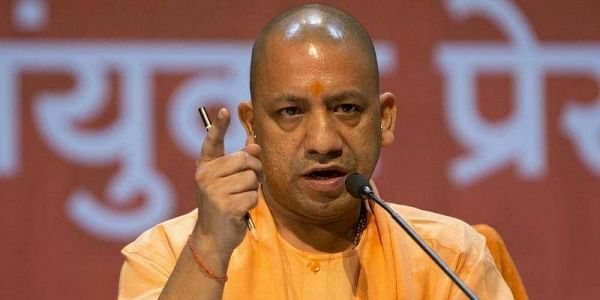 LUCKNOW: Uttar Pradesh Chief Minister Yogi Adityanath today said the proposed UPCOCA bill would help check crime and sought cooperation from the Opposition parties for its passage. Speaking on an adjournment notice on law and order in the Legislative Assembly, the chief minister said the bill, likely to be tabled soon, would be a remedy for crime in the state. "We are bringing the UPCOCA bill...if you want the mafias to be finished...we expect you to cooperate (to pass it)," he said. The Uttar Pradesh government recently approved a draft of a UPCOCA bill which was on the lines of the Maharashtra Control of Organised Crime Act (MCOCA) to combat land mafia, mining mafia and organised crime. Reiterating that there would be no laxity on the issue of security, corruption and law and order, he said crime in the state was at its lowest and the people's mandate in the country was its example. He referred to the recent National Crime Record Bureau (NCRB) report and lashed out at the state of affairs under the previous government when as many as 31 riots took place in one year and no FIRs were filed. "No one can say that criminals are getting patronage either by the BJP or its supporters," he said. Leader of Opposition Ram Govind Chaudhary objected to the contention of Parliamentary Affairs Minister Suresh Khanna that all FIRs were being lodged, saying it was at the mercy of policemen and cited a personal experience. "You had come to power promising Ram raj...Is goonda raj and criminal raj the Ram raj which was promised...is eve- teasing Ram raj?" he asked. Lalji Verma (BSP) and Congress leader Ajay Kumar Lallu also spoke on law and order issues.